Join us for a live online #vitaehangout on 26 March (Thursday) between 2-3pm UK time to discuss equality and diversity in research, share knowledge about the initiatives in place and ask our panel of experts about the issues that affect researchers in higher education. This event is part of Every Researcher Counts, a series of activities addressing equality and diversity in research including conferences, training and resources. The challenge to achieve equality remains clear with still only 21% UK Professors being female and 0.4% of UK Professors being black. Alongside these statistics, the rhetoric supporting equality and diversity and the need to improve make real change to ensure maximum success has never been clearer. This is supported by established law and a group of well know initiatives for example the UK Equality Act 2010, the Concordat to Support the Career Development of Researchers and Athena Swan. Alongside these forthcoming new initiatives will ensure that mainstreaming equality and diversity will become a priority for UK HEIs in the forthcoming years. Vitae’s Every Researcher Counts programme operates across all nine protected characteristics in order to tackle equality and diversity in research. The recently published Actions for All lists the ten things that institutions should do now to tackle equality and diversity. This hangout aims to realistically discuss the challenges individuals face in their institutions. So how can we continue to make real progress in tackling inequality in the research environment? How can we as a research community work to improve equality and diversity? Do you think we can ever achieve a true diversity of opportunity? What key things would you like to see addressed in your institution? Why is it important to address inequality in research? What do you think are the main challenges? The Google Hangout will be moderated by Emma Day, Vitae Project Manager. What is a Vitae Google Hangout? 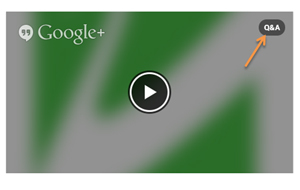 Vitae Google+ Hangouts are live online video events of Q&A sessions with a group of expert panellists. As the video is streaming live online you will be able to watch and get involved in the conversation. Can anyone attend the Hangout? Yes, whether you have a Google account or not, you will be able to watch our live hangout when we stream it on 26 March! However, only by having a Google account and joining our Google Plus event page or using #vitaehangout on Twitter, will you have the opportunity to guide the discussion and tailor advice with your own questions. We will be using the Google Hangout Q&A app for the event which is the easiest and most effective way to submit your questions. The questions will appear on the right side of the screen as the video is being streamed. The App is now live - Simply click “Ask a new question” and we will try to answer as many as possible. REMEMBER: If you're not signed in with a Google account, you will not see the Q&A. This event is for all and there is no limit on the number of participants - please share the event with your networks. Watch our other Vitae hangouts here.